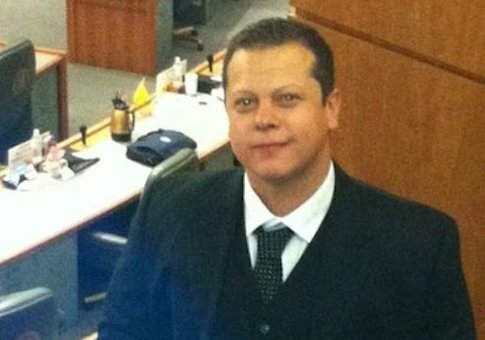 A Democrat running for Congress in New Mexico's second district was found and arrested at an apartment complex in Albuquerque on Friday, nearly two weeks after an arrest warrant was issued for him. Authorities issued a warrant for Alcon's arrest on Oct. 30, but Alcon did not turn himself into Santa Fe police. Instead, Alcon was arrested Friday in Albuquerque after police were called to the Villa De San Felipe Apartments for a welfare check. The Albuquerque Police Department did not elaborate on what happened when they got to the apartment complex, but according to jail records, Alcon is not facing any additional charges. Alcon was previously convicted of stalking a woman in 2007. His campaign has so far not released a statement or responded to requests for comment. This entry was posted in Politics and tagged Congress, New Mexico. Bookmark the permalink.